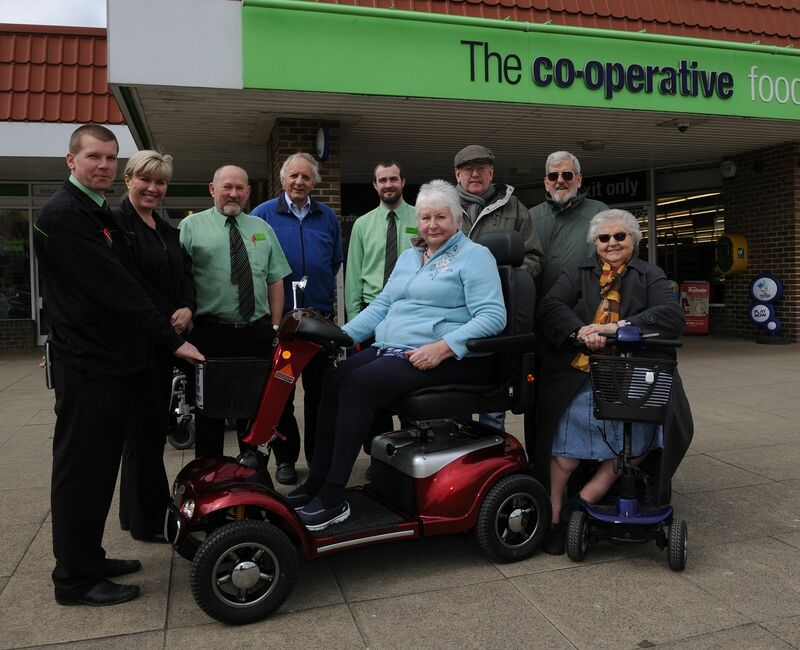 A group that offers support and equipment to those with mobility issues in Lowestoft has been showcasing a brand new scooter - paid for with funds from Central England Co-operative. Members of Lowestoft Shopmobility now have the £2,000 scooter to help get around town thanks to a grant from the retailer’s Community Dividend Fund. The group linked up with colleagues from the Co-op Food Store, in Ashburnham Way, Carlton Colville, to officially handover the vital piece of equipment. Margaret Oldham, Chairman of Lowestoft Shopmobility, said: “The scheme was formed 22 years ago to improve the quality of life for anyone with mobility impairments. “Some of the older mobility scooters which we hire out can no longer be repaired, so we were delighted to hear that a grant from the Central England Co-op Community Dividend Fund will enable us to buy a new, large pavement scooter, which will be used by our members to do their shopping independently." Jason Vincent, Carlton Colville Team Leader, said: “We are delighted that Lowestoft Shopmobility has been handed a grant for the fantastic work they do in the community.